Today the production environment requires greater flexibility and reactivity to satisfy the continual evolution of Client needs. The Manufacturing Execution System (MES) solution offered by Qs Group provides businesses with the support they need to control and optimise every phase of the production process. 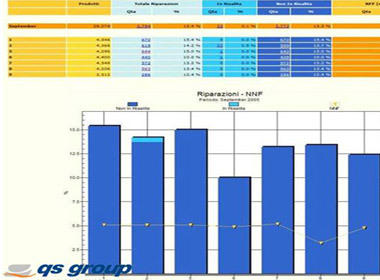 The suite of modules that constitutes the MES system allows production data to be collected, supporting the analysis and management of the business through multi-dimensional and multi-level Key Performance Indicators. Qs-MES, based on an open and multilayer architecture, provides interoperability with the systems and the solutions set up in the factory through a specific parameterisable data exchange module. Furthermore, Qs-MES has standardised interfaces with the major ERP solutions allowing you to dialogue with the management information system. 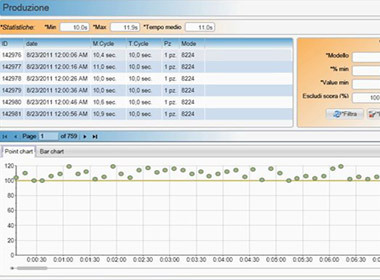 Qs-MES allows you to monitor the progress of production in real-time, or to evaluate your production processes based on time and conditions. 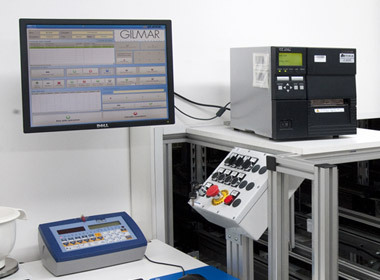 The experience we have gained in this field allows us to collect data from PLCs, serial devices, digital I/O, analogue devices, automatic and manual inspection stations, wireless devices etc. The aggregation of information allows you to evaluate any process trends and identify what the main defects/malfunctions are that compromise the quality of the finished product: these results are valuable for making strategic management decisions. 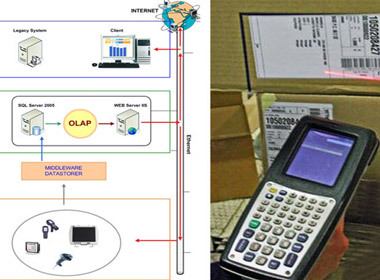 The integration of the various systems allows you to monitor the production plans coming from the ERP system, verify and trace the parts used for assembly of the finished product (Traceability), describe the trial plans for each type of inspection station, sort the faulty products among the various ramps, send approved products to the end of the line and provide feedback to the ERP on what has been produced. Integration with the our WMS warehouse management system allows you to automatically manage restocking materials (Material Management System) on-board the line thus avoiding the use of paper documents and errors due to manual data entry. Accordingly, the entire production process is under control: from the supply of the materials, to the end-of-line declaration. All KPIs can be parameterisable and made available through the WEB; Qs-MES is compatible and interfaceable with MS-Office. 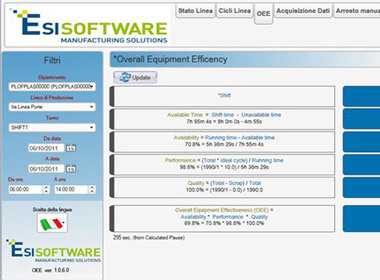 Native integration with Esisoftware supervisory systems. All of this is supported by a central software manager such as TFS (Team Foundation Server) which allows our work groups to cooperate and keep the entire life cycle of the software under control. Through the use of consolidated OOP methods (Object-Oriented Programming) the most sound and efficient PATTERNs are used for the implementation of optimal SW structures. SOA matrix Enterprise architecture (service-oriented) allows you to use the services made available by the architecture in a decentralised manner, and to consult the necessary data through the WEB. The current market conditions, the need to safeguard one's own brand, consumer awareness and new and increasingly strict legislation have brought the issue of product traceability to the centre of attention. 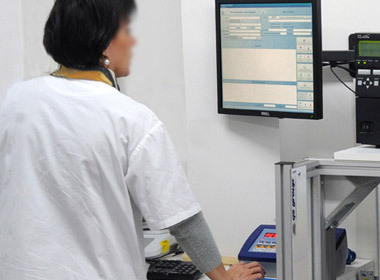 The system developed by QS Group is capable of guaranteeing maximum precision in monitoring the production process, reducing costs and not quality and potential faulty product recall times, increasing accuracy in supplier evaluation and improving work relationships along the entire chain of production. The traceability form, included in the Qs-MES software, manages the genealogy of the production batches through the registration of the raw materials and the semi-finished products involved in the production process of the finished product. For each monitored component the system is capable of notifying the Operator of its accuracy with respect to the bill of materials of the product being assembled, and in case of a positive result, registering the batch that it belongs to. Through the use of wireless manual terminals and automatic identification systems (RFID and Barcode readers) the system receives data from the field on all of the production flows kept under control. production plan for every monitored department. The processing motor, that resides in the server, is in charge of completing the matrix of information by cross-checking the data from the field with the data sent by the ERP system. 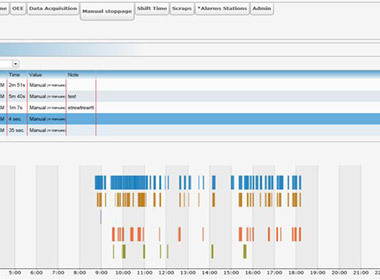 Through a WEB interface you can interrogate the system to receive all information regarding the composition of a single finished product, based on the parts that were used, as well as trace back to the group of finished products that contain a particular batch of raw material or semi-finished product. The Management software for production and quality is a form on the Qs-MES platform that implements an Enterprise system based on Microsoft technologies. The system is developed to allow technicians and managers to keep the advancement of production under control in terms of quality and quantity. This function is made possible through the use of fast and powerful data analysis tools (OLAP technology) that allow you to obtain real-time information as well as log series for production flow. 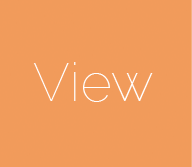 The QDS lends itself as a natural interface between the production and management systems that it is connected to through standard communication forms. The result of the requested interrogation will be a Web page displaying tables and graphs with the temporal analysis of the phenomenon or a Pareto chart of the parameter in question. The resulting reports can be freely exported into pdf or excel for post-processing operations, as well as printing them out. It is also possible to set a level of supervision on the selected parameters so that the system automatically generates an alarm when the threshold is surpassed, for example you can request an email or text message to be sent out if the level of general defectiveness exceeds 5% or if product pieces/hour falls below a pre-set quantity.